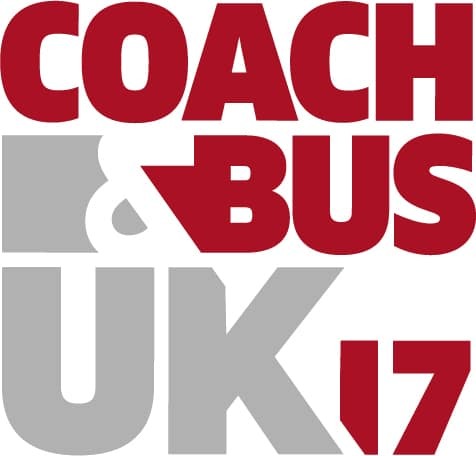 Alfatronix Limited will be exhibiting at the Coach and Bus UK exhibition ( Stand A20 Hall 17 ) at the NEC, Birmingham on Wednesday 4th and Thursday 5th October 2017. We will be showing our latest variants on the USB range of products including new colour surrounds and opportunities for including logos etc. for advertising purposes. Robin Heather of Ashfield Communications / Alfatronix Ireland will be on the stand both days to meet Customers from Ireland. Alfatronix will be exhibiting at the Commercial Vehicle Show, 25th to 27th April 2017 at the NEC, Birmingham. 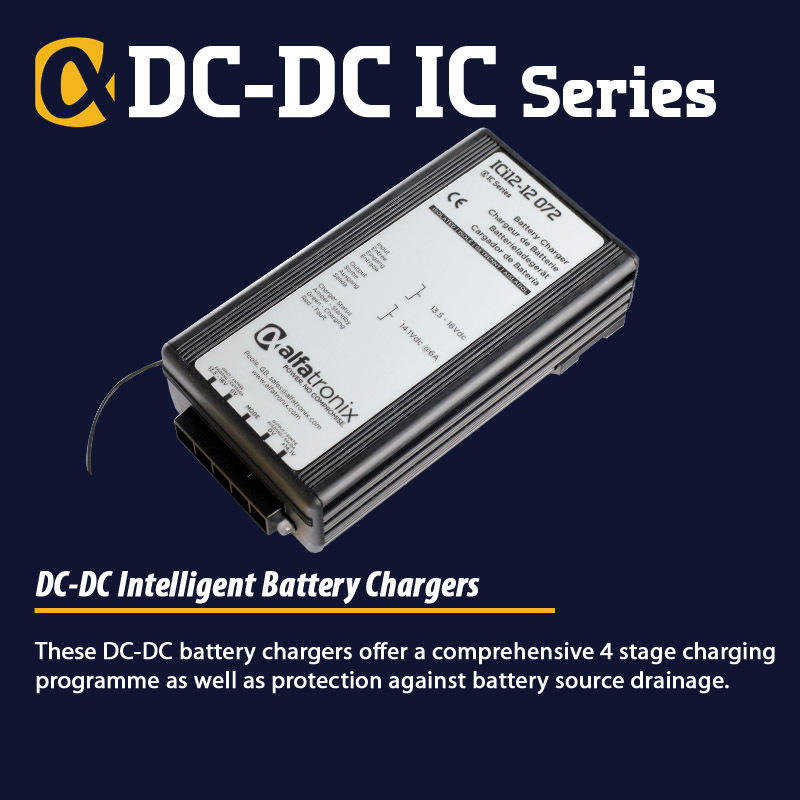 We will be highlighting the new PV-PRO range of USB Chargers and LED Lights for Bus and Coach installations together with our range of Powertector Battery Guards, DC-DC Voltage Convertors, AC and DC Battery Chargers and bespoke DC/DC conversion options. Robin Heather of Ashfield Communications will be on the stand to meet Irish Customers. Alfatronix are pleased to announce the new USB-PRO range of Powerverters, these units include a new lower profile mounting which will suit a great majority of installations. 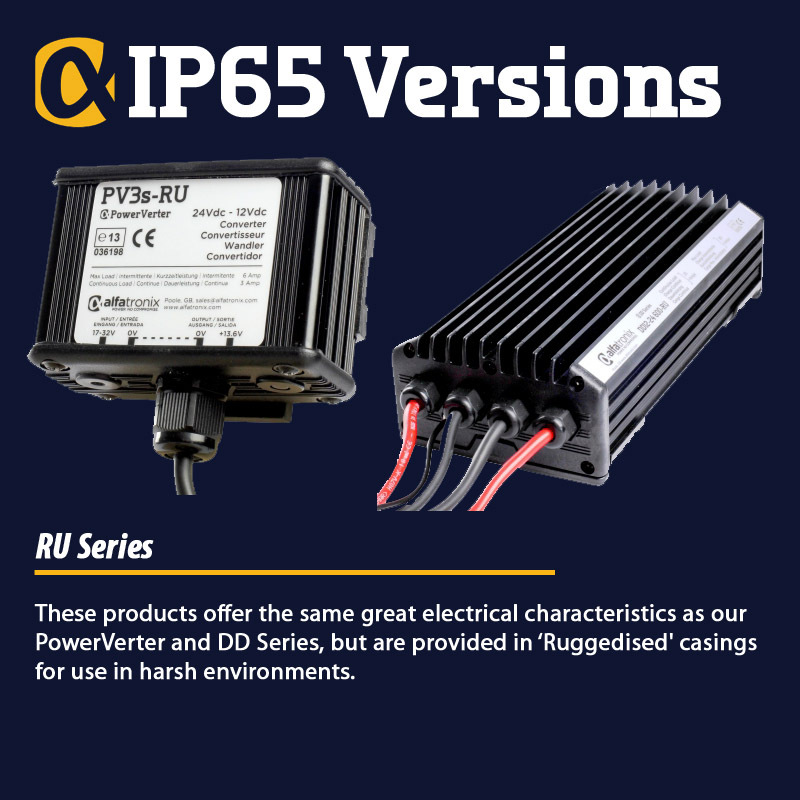 The units are available in both single ( 5V 2.1A ) and Dual ( 2 x 5V, 1.5A ) versions and will be available to purchase from mid-July 2016. 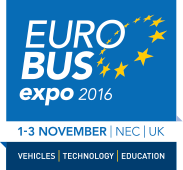 Alfatronix will be exhibiting at the Euro Bus Exhibition, NEC Birmingham from 1st – 3rd November 2016, we will be showing a wide range of products including USB Chargers, PowerVerter 24/12v DC Converters, and PowerTector Battery Savers . Robin Heather of Ashfield Communications, Irish Distributors will be on the Alfatronix stand to meet Irish visitors. We are pleased to introduce a new 3.0 Amp Dual USB Charging Socket which is now available from Stock. 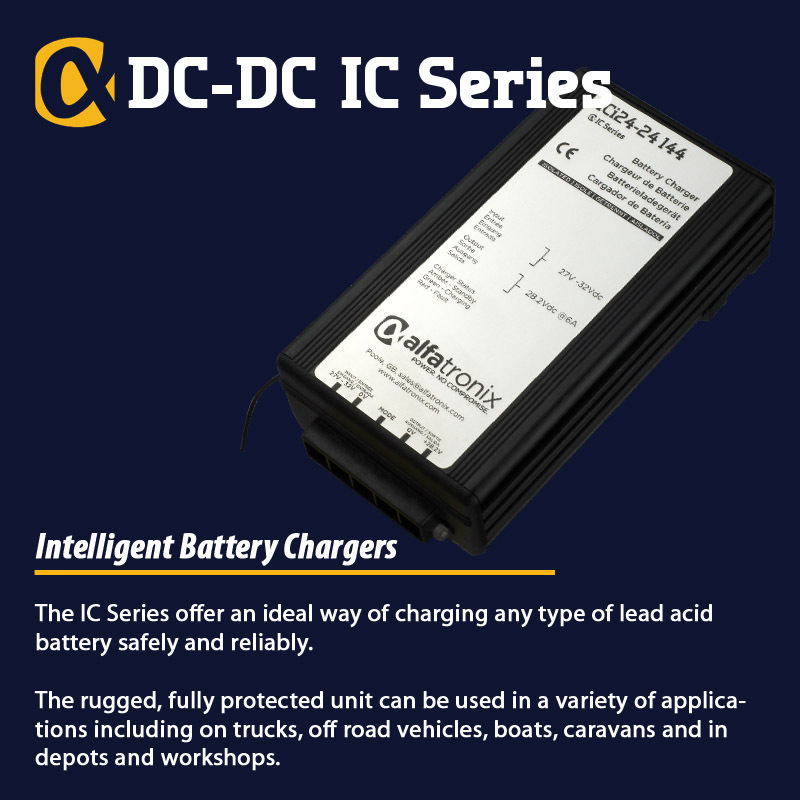 This unit offers two x 5 Volt DC 1.5A Charging sockets and is available in two versions, USB-1 Dual Panel Mount and USB-3 Dual Low Profile version for mounting onto bus and coach seats. These complement the existing range of 5 Volt 2.1A Single Charging sockets which have been in production since 2014. Alfatronix will be exhibiting at the Coach and Bus Live exhibition in the NEC Birmingham on Wednesday 30th September and Thursday 1st October 2015. The new Alfatronix USB Charging units will be on display together with the complete range of PowerVerter, PowerTector and AC and DC Battery Charging solutions. Robin Heather of Ashfield Communications will be available both days to meet and greet Irish customers. NEW Products. Alfatronix are pleased to introduce a new range of products. The Alfatronix USB charger is a new intelligent charger which delivers 5 Volts at 2.1 Amps, this will accept inputs of either 24v or 12v and suits both Apple and Android devices, the USB port automatically detects the type of device in use. 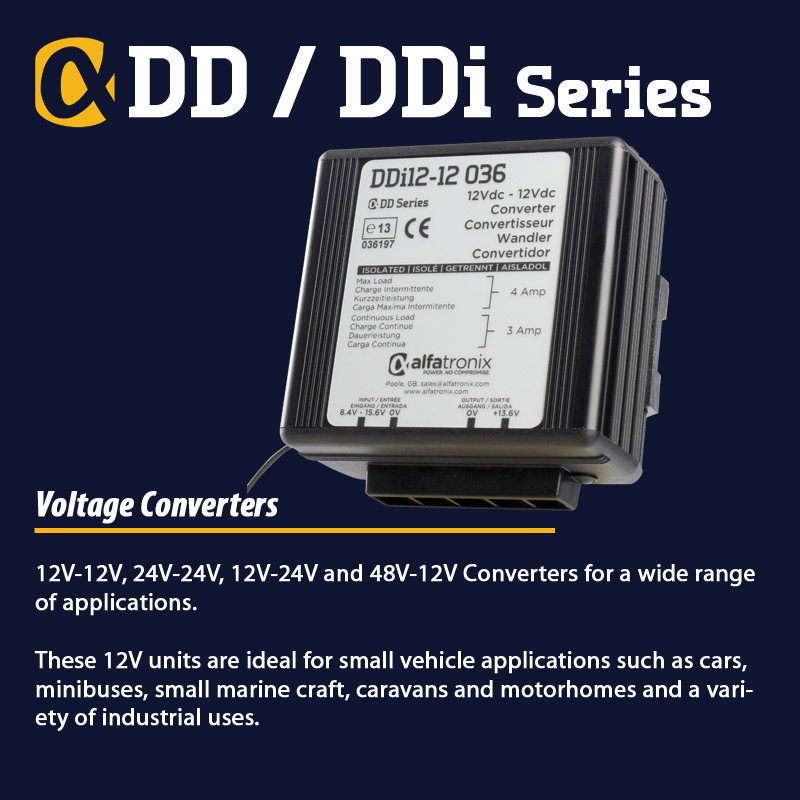 Alfatronix have also introduced a complete range of Voltage Converters for use in rugged environments, these have full IP65 specification, and are now available to order. 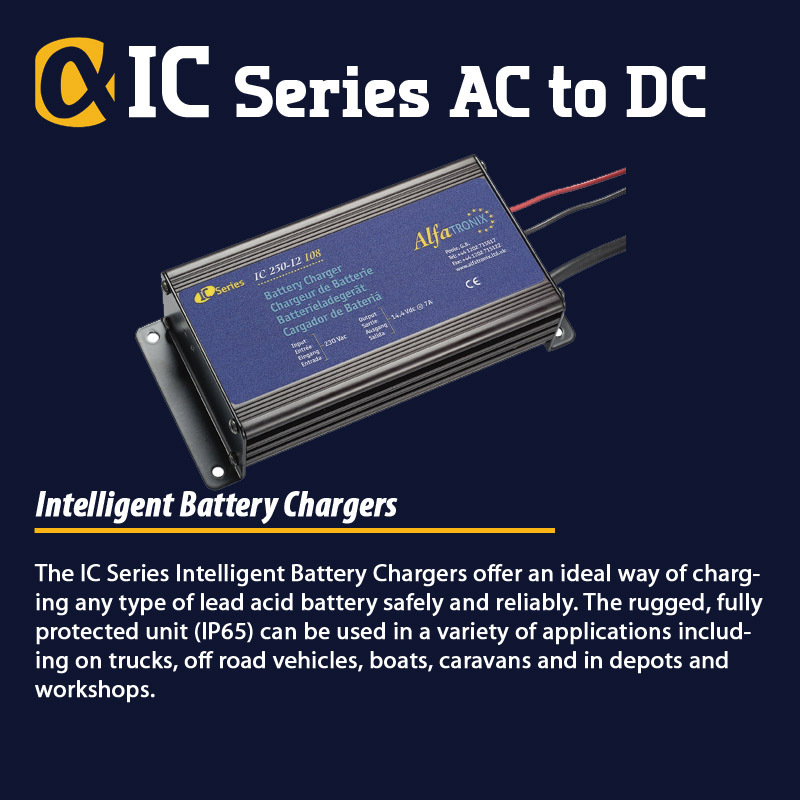 Ashfield Communications and Alfatronix are delighted to announce the launch of a New USB charging socket for fitting onto 12 or 24 Volt vehicles, this charger features intelligent socket which detects whether an Apple or Android Phone is connected, and charges accordingly. The product will be formall launched at the CV Show in the NEC, Birmingham 14th-16th April 2015, and will be available to purchase from Mid-June 2015. Trade enquiries now welcome. 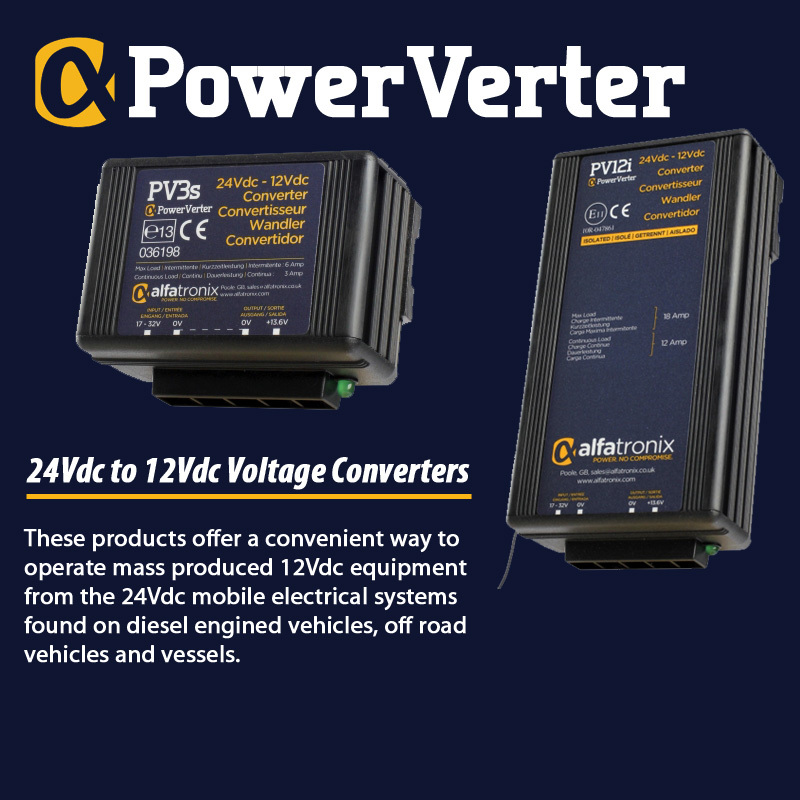 Alfatronix Limited are exhibiting once again at the Commercial Vehicle show at the NEC in Birmingham 14th to 16th April 2015, we will be showing a wide range of Voltage Converters, Battery Chargers and Battery Low Voltage Disconnect units. This year we are planning to launch some new products at the show and Robin Heather of Ashfield Communications, who represent Alfatronix in Ireland will be on hand to meet and greet Irish customers. Alfatronix Limited are exhibiting at the Eurobus Expo 2014 at the NEC, Birmingham 4-6th November 2014, Come and see the wide range of Voltage Converters, Powertector Low Voltage Disconnect units, Battery Chargers and Mains Power Supply units on display. All products carry a full lifetime warranty. Alfatronix Limited are exhibiting at the Commercial Vehicle Show in the NEC Birmingham 29th April to 1st May 2014. Visit our stand in Hall 4, Stand 4D36. 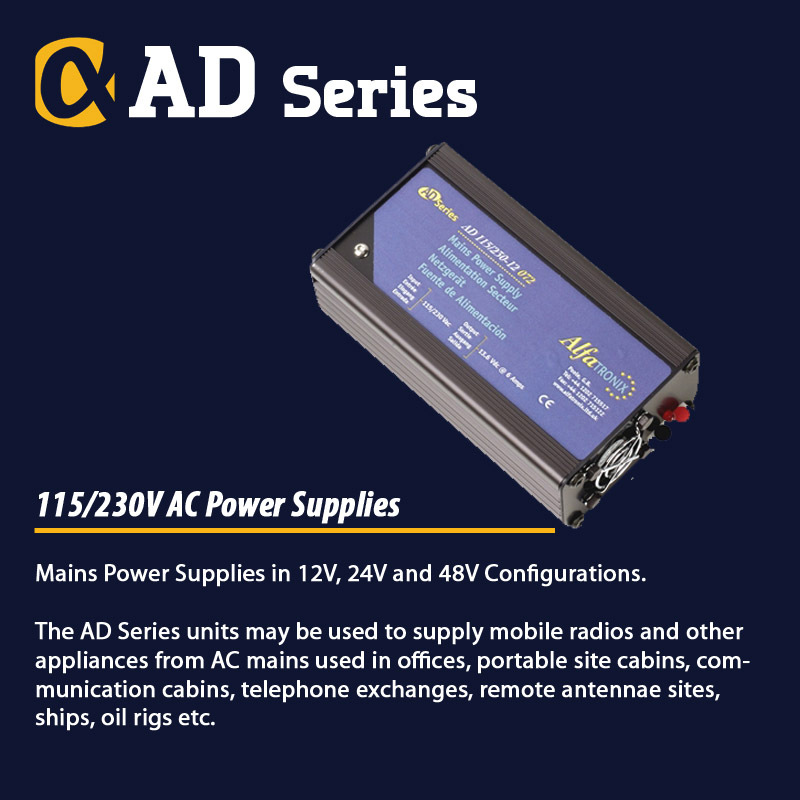 The products on show will include a wide range of Voltage Converters, the “new” PowerTector Battery Guard range and the AC/DC and DC/DC Battery charging units. Robin Heather of Ashfield Communications will be on the stand on Wednesday and Thursday to meet with Irish Customers. 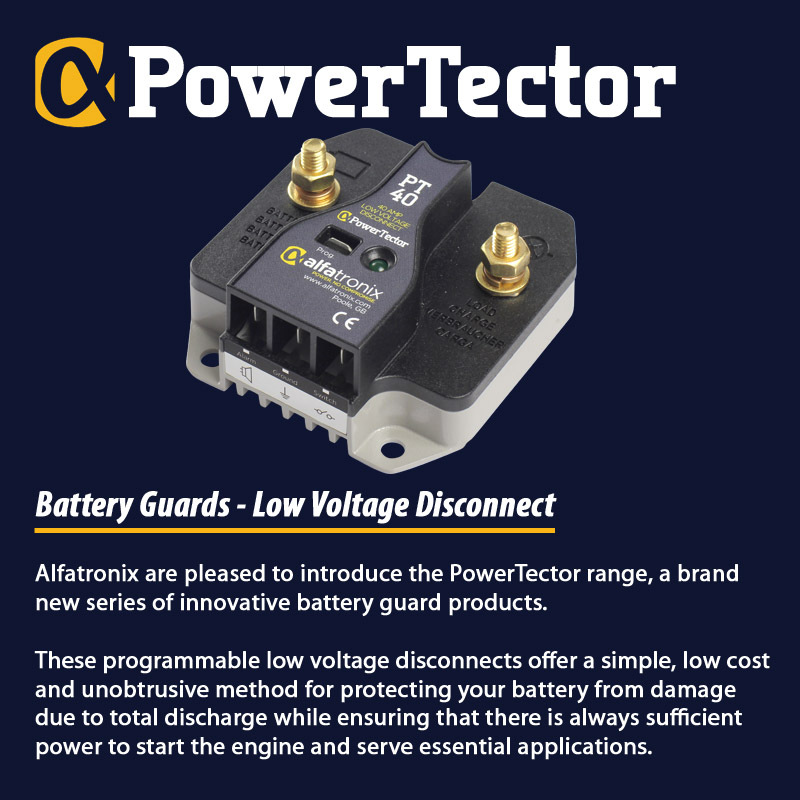 Alfatronix Limited launched the new PowerTector range at the CV Show in the NEC, Birmingham earlier in 2013. Since the launch, orders have been received from the Emergency Services, several Large Truck manufacturers including Scania, Volvo and MAN, and here in Ireland, the PowerTector is currently installed on a large fleet of vehicles delivering to a major Supermarket chain and several other applications involving Tail lifts.